What better way to spend the summer nights than chilling out at a beautiful park setting and listening to music? 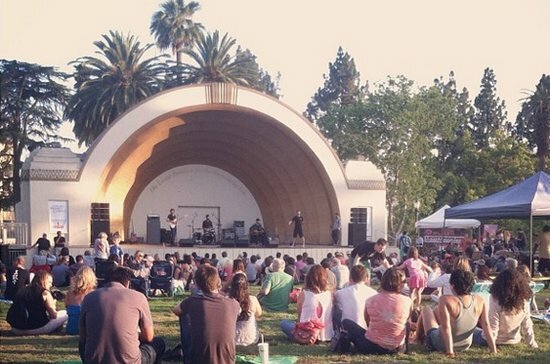 Well fortunately for us every year since 2002 the folks over at the Levitt Pavilion in Pasadena put on a summer festival of 50 free shows over the course of June, July and August. That said, below you’ll find a complete list of all the free concerts being put on this summer. If you decide to go, be assured the Pavilion is a great venue to bring a picnic, set up a lawn chair, and listen to some tunes at no cost. And, weather abiding, it should be a glorious summer of shows. Just get there early cause it can get a little crowded! NOTE: Musical genre for each artist (who you may or may not have heard of) is italicized.